I recently mentioned the book Galileo’s Daughter in a previous post. I wrote then that it might become my new favorite book regarding this amazing scientist, and it most certainly has! The book is not only an excellent look at Galileo, his accomplishments, and his struggles, but it also is incredibly unique. In the process of discussing the events of Galileo’s life, the author weaves in actual letters written to him by his daughter, Suor Maria Celeste Galilei. 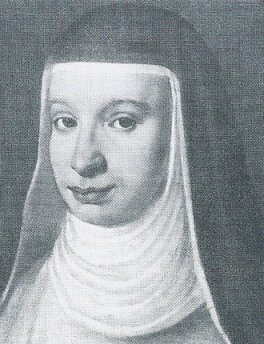 Since she was a nun, there are also nice interludes where the author discusses what Suor Maria Celeste’s life was like at the convent of San Matteo in Arcetri. In addition to all that, despite the fact that this is a biography of a well-known scientist, there is actually a surprise ending! At least it was a surprise to me, and I have read quite a bit about Galileo. There are so many good things about this book that I cannot cover them all in one post. So to start, I will discuss how this book treats the most famous issue involved in Galileo’s life: his confrontation with the Roman Catholic church. Obviously a lot of very detailed, very carefully-researched tomes have been written about this affair, and I have read many of them. However, I think this book deals with the issue better than any other book I have read. Why is this book’s coverage of the struggle between Galileo and the Roman Catholic church so good? For one thing, it doesn’t try to take sides. I have read books about Galileo that portray him as the champion of science who was persecuted by the mighty Roman Catholic church, and I have read books that portray him as a egotistical man who tried to use the force of his personality to make the Roman Catholic church change its theology based on very little evidence. Neither of those portrayals is accurate. Instead, as is the case with most history, the confrontation between Galileo and the Roman Catholic church was very complex, with no pure villains and only one pure hero. That hero was neither Galileo nor the Roman Catholic church. Instead, it was Suor Maria Celeste Galilei. Because this book is more of a chronological telling of the events in Galileo’s life, his troubles with the Roman Catholic church occupy only one small part of the book. However, if you know the story, hints of trouble appear early on. For example, the book discusses how Galileo developed a telescope based on what he had heard about a Danish “spyglass.” Galileo saw the potential in such a device right away, but he seriously improved on the design by using mathematics (something I will post about later) to calculate what the shapes and placements of the two lenses in a telescope should be to give optimum performance. As a result, while he didn’t really invent the idea of the telescope, he is often credited with inventing it, since he was the first to make something that was really useful in studying the heavens. He also found that there were dark spots on the sun. He tracked those spots in a most ingenious way. Rather than looking through the telescope at the sun, he allowed the telescope’s image to fall on a piece of paper, which he (or an assistant) carefully traced. Of course, these sunspots were also a direct contradiction of Aristotle’s teaching regarding celestial objects. We will see later on another example of how meticulous Galileo was in making sure that what he was writing was not seen as an attack on the Roman Catholic church in any way. While Galileo’s telescope contradicted the conventional wisdom of science at that time, it made him a celebrity. Indeed, the fact that he discovered the moons that orbit Jupiter (he actually called them “planets”) made him the first to discover something completely new about the contents of the heavens. He wrote a book about that and his other discoveries called The Starry Messenger, and it sold out so quickly that he could only secure six copies for himself (the printer had promised him thirty). Shortly before the pronouncement made by the Congregation of the Index, Cardinal Bellarmino had a private meeting with Galileo, and this private meeting is, essentially, what was used by the Roman Catholic church years later to implicate Galileo. In the meeting, Galileo claimed that Cardinal Bellarmino told him the Copernican view could not be held or defended, but it could be taken and used hypothetically. This caused Galileo to see that he should abandon any attempts to use his discoveries to support the idea of a sun-centered universe. Instead, he decided to try to make more “practical” applications of his discoveries. For example, he spent a considerable amount of time during this part of his life in attempting to use the moons of Jupiter to help in navigation. Indeed, Pope Urban truly felt that there was no harm in using the Copernican system as a tool in astronomy, and he told Galileo to proceed in applying his science to the consideration of the Copernican system. As a result, Galileo began writing his book, Dialogue Concerning the Two Chief World Systems, which ended up getting him in a lot of trouble. Now all of these details are covered by most people who chronicle Galileo’s life and accomplishments. But once again, this author’s treatment is unique because he sprinkles in letters from Galileo’s daughter, giving you such intimate detail in Galileo’s life that you almost feel you are there experiencing things with him. In addition to these “homey” details, however, the author of this book mentions a couple of things I had never heard of before. I knew that it had taken several years for Galileo to write his Dialogue, but I didn’t really know why. I thought he spent a lot of time analyzing and collecting data. That is true to some extent, but other issues such as Galileo’s poor health and the outbreak of plague in Europe also conspired against Galileo getting done with his book in a timely fashion. Indeed, while Galileo started on his book with gusto in 1624, it did not get published until 1632. The other thing I didn’t even have a clue about was how many pains Galileo went through to make sure his book would not be an affront to the Roman Catholic church. I knew that he had sent his manuscript to the church’s censor in Rome, and it was read by the man in charge of the entire office, Father Riccardi. I also knew that father Riccardi approved the book with only a few minor changes. What I didn’t know was that Galileo went much further than that in securing the church’s favor when it came to the book. After securing approval from the censor in Rome, the plague caused problems in getting the book printed in Rome. As a result, Galileo went back to Florence, and he decided to submit the book to the Roman Catholic censor in Florence as well. He did not need to do this. However, the thought it was the most prudent course of action. Once again, all went well. He secured permission from the inquisitor in Florence as well as the censor there, just to make sure that there were no problems. They approved the book with no changes, but Galileo went ahead and made the changes that the Roman censor had asked for. So in the end, even the character in the book who speaks for Galileo would not say that the Copernican view of the heavens was correct. He simply listed the objective evidence that existed for it. However, even though the Copernican system was not formally endorsed by the book, and even though the book passed the Roman Catholic censors’ review not once but twice, there were many in the church who didn’t take kindly to anything that made favorable mention of a sun-centered universe, and so they complained to Pope Urban. This was unfortunate, since at the time, the Pope was involved in a very unpopular war (the Thirty Years’ War) and could not afford to become any more unpopular. As a result, he summoned Galileo to Rome to answer a charge of heresy. Galileo was sick and couldn’t immediately come to Rome, and for a while, Urban waited. Eventually, he tired of waiting and told Galileo to come of his own free will or be drug to Rome in chains. Galileo reluctantly made the trip. Perhaps the only reason he survived the trip was that Grand Duke Ferdinando gave him a litter and servants to attend him during the arduous journey. When the author recounts Galileo’s various hearings, he does an excellent job. Indeed, he provides extensive transcripts (translated into English, of course) of the hearings, so you can see exactly how the hearings were set up. The real issue in the hearings goes back to his 1616 meeting with Cardinal Bellarmino. According to Vatican records, the Cardinal told Galileo not to hold, defend, or teach the Copernican view, and that this order came from the Pope (who was not Urban at the time). Thus, publishing his Dialogue was in direct contradiction to a Papal order. There was no signed Papal order to that effect, however. There was just a document in the Vatican stating that this is what the Cardinal had told Galileo. Now this statement, straight from Galileo’s mouth, might sound rather odd. After all, he is generally characterized as this champion of science who refused to obey the Roman Catholic church. However, that is just not true. My reading of the Galileo incident (from this book and many others) indicates that Galileo thought there was some evidence that Copernicus might have been correct, but he did not believe it himself, and he certainly did not try to make others believe it. He simply presented the best case for Copernicus, in hopes that others would read it, study the issue more, and advance both scientific and Scriptural knowledge until the real details of the heavens could be understood. He was not trying to challenge the Roman Catholic church with his book. Instead, he bent over backwards to make sure the church would not be offended by it. He simply wanted the data communicated. Now please note that this is different from many of Galileo’s other scientific beliefs. He was adamant about some scientific concepts, and he routinely excoriated those who desperately clung to the ideas of Aristotle despite the evidence. However, his church had not made pronouncements about things like what causes an object to float and whether or not matter has a preferred state of motion. For those kinds of ideas, Galileo took strong stands and was quite rude to those who disagreed with him. On the matter of the heavens, however, his church had taken a stand, and he was loathe to disagree with it. Thus, while he saw some evidence that his church was wrong, he did not disagree with it. He simply thought of the whole thing as a mystery that needed to be resolved by both theologians and scientists. Indeed, the whole “But still it moves” story is almost certainly an urban legend that sprung up among Galileo’s defenders, many of whom are discussed in detail in the book. I think the author’s refutation of the “But still it moves” story is indicative of his entire treatment of Galielo’s encounter with the Roman Catholic church. It attempts to paint a realistic picture of what happened, and it seems to me to do a very good job. The Roman Catholic church was not a hero in this story, but neither was Galileo. As I said at the beginning, the real hero of this story is Suor Maria Celeste Galilei. She stood by her father, supporting him, loving him, and praying for him, as a devoted daughter should. I think I know how thankful Galileo must have been, as I have a daughter like Suor Maria Celeste. Every father should be should be so blessed.